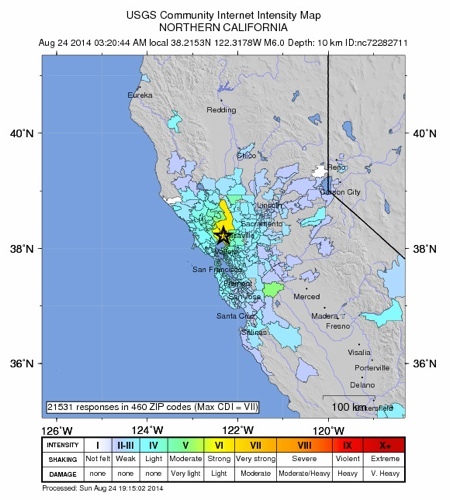 There was a 6.0 magnitude earthquake near Napa at 3:20 am Pacific Daylight Time on August 24. 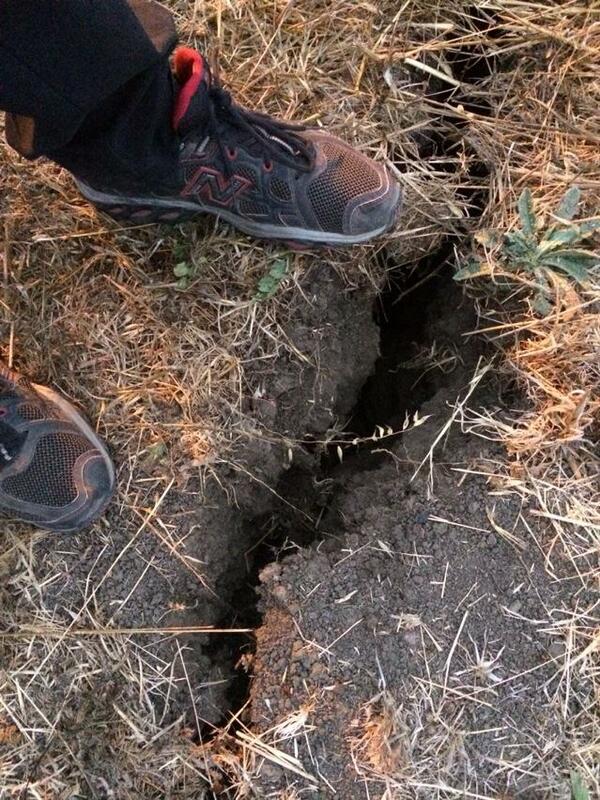 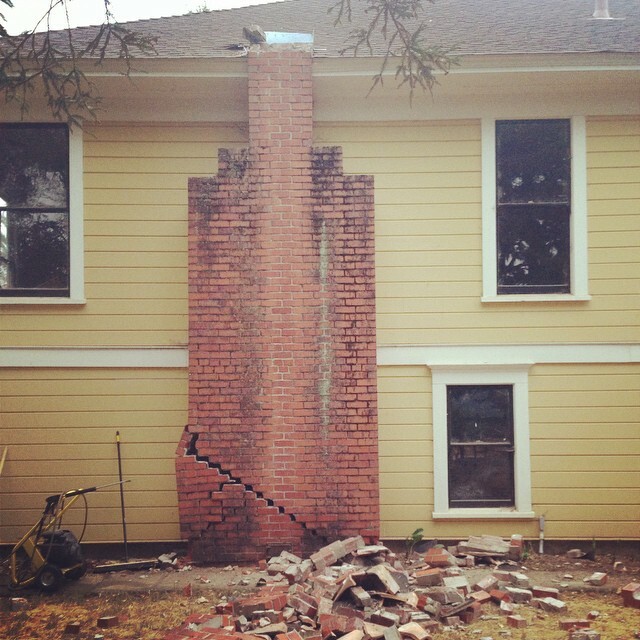 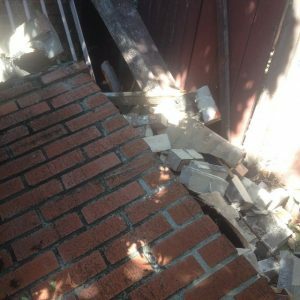 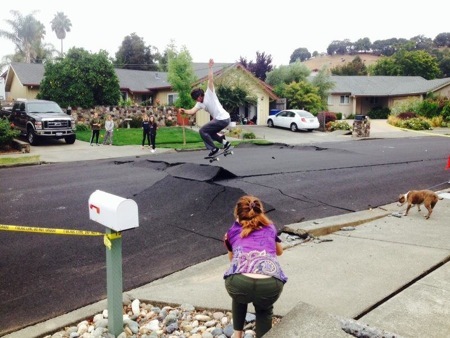 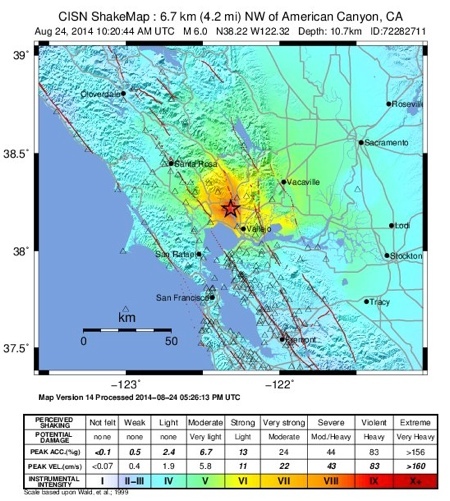 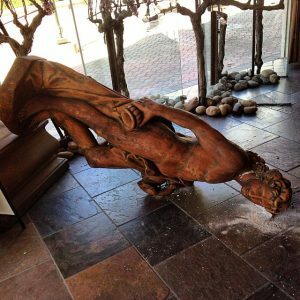 This article is to provide information about the Napa quake from local perspective. 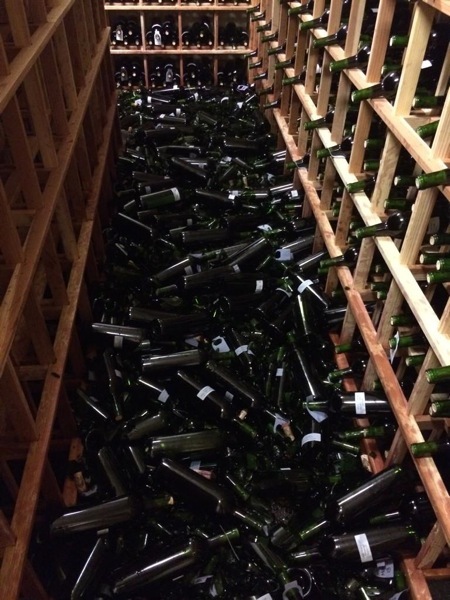 Latest report at 2:30 pm says 120 people were injured, three seriously. I always recommend donating to the local chapter of the American Red Cross. 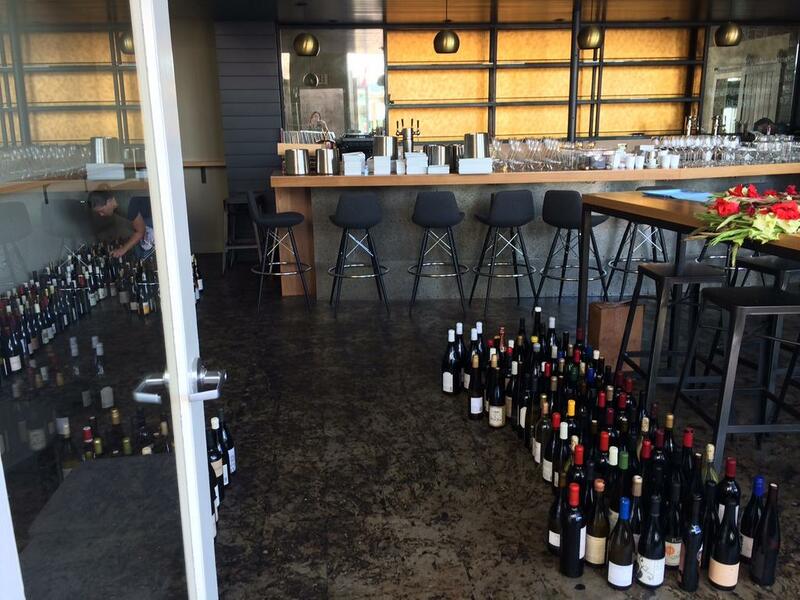 In this case, it’s the Napa Valley Chapter. 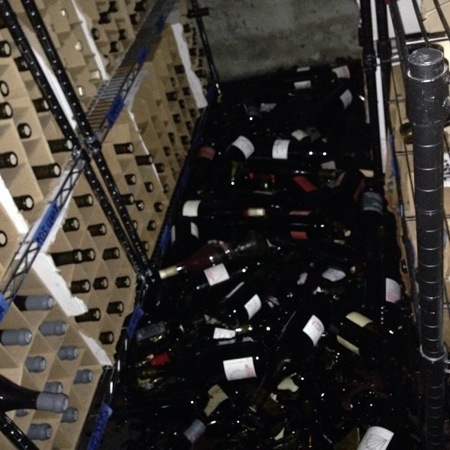 Also, of course, buy some Napa wine. 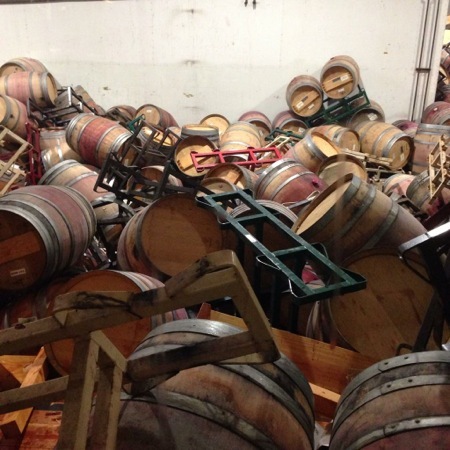 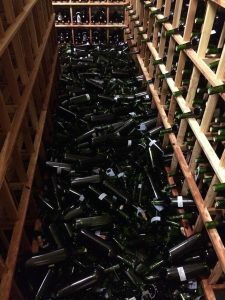 Most wineries that reported collapsed barrel racks also noted that the barrels were pretty much intact. 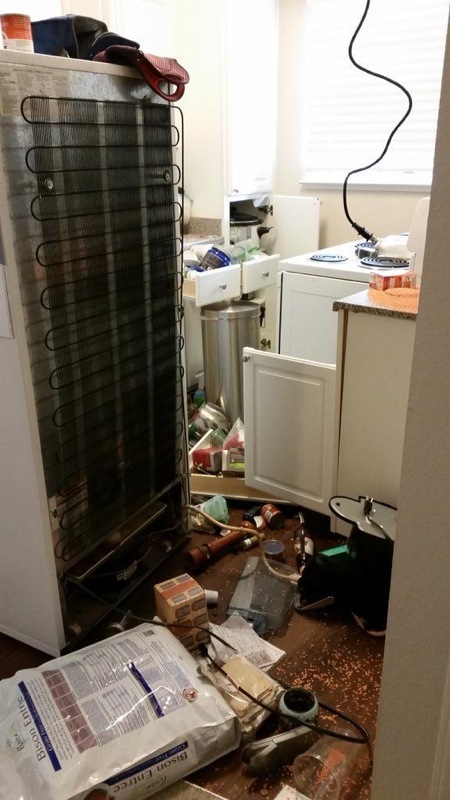 In a few cases, bungs popped out so there was some loss. 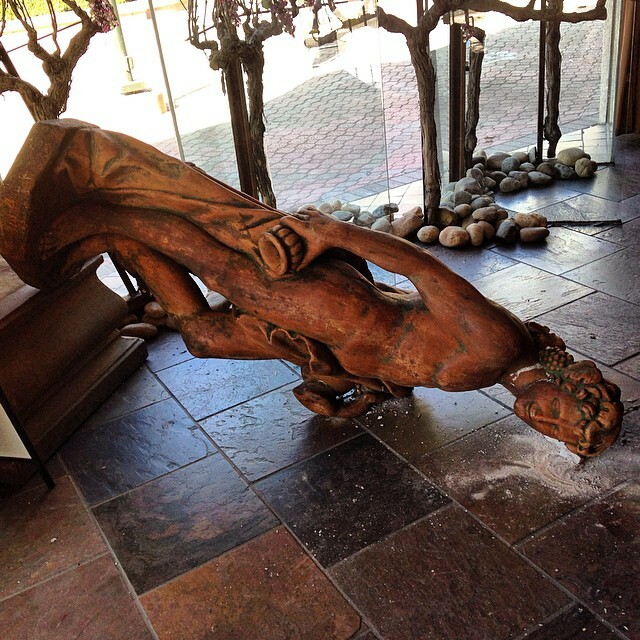 This photo from the Silver Oak Winery has gone viral. 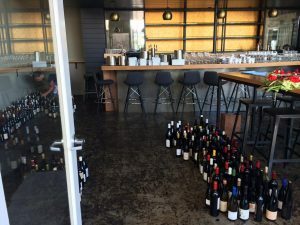 Napa’s “newest wine bar, Cadet” estimates losses between $15,000 and $20,000 from wine inventory.